I am knitting squares for an afghan, I first mentioned it here. This is the square I am working on at the moment, it's called Sand Ripples. I am really enjoying knitting these squares. I am using the exact same yarn and the exact same size of needles, but so far they are all different sizes??? I am no expert when it comes to knitting, but even I can see something isn't right? I know I have to "block" the squares, but even so there seems to be quite the difference? Should I be concerned? You can read more about it here. It has all the bells and whistles and then some. I use my sewing machine a lot, and would get a lot of use out of it, but it's a lot of money, $2,500.00 CDN. There are pro's and con's to this, with there being more pro's to con's at this point!! If we bought it now before dh retires while we have the "extra" money, it would hopefully last the rest of my days. I am familiar with this brand of sewing machine and like the service the store provides where I would buy if from. 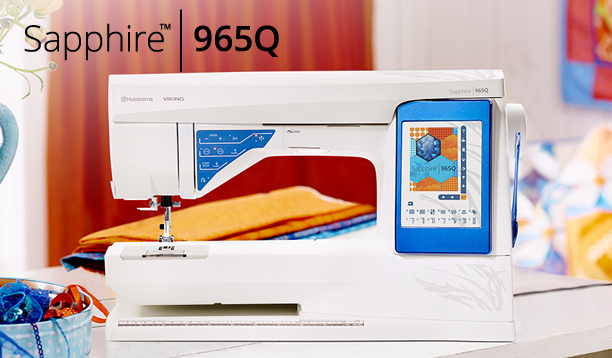 It has everything I need in a sewing machine and more. On the down side is the price, that's an awful lot of money. The store is an hour and 15 minutes from where we live now, if we move further away, I would have to find a new service centre and there are not that many around. When I pick up my sewing machine I will have a look at this one in the store. I do have to say though I am tempted!! 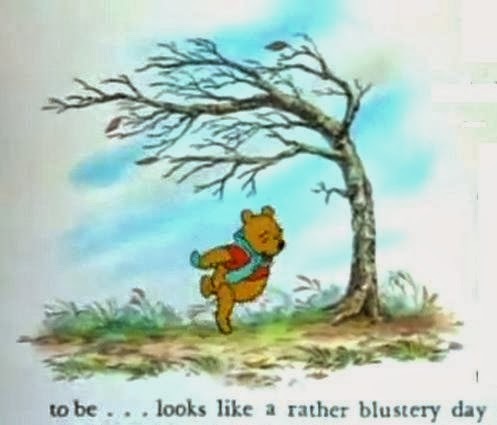 Managed to walk 7 miles though over three walks.........should have got more credit though for walking into a gale force wind!! 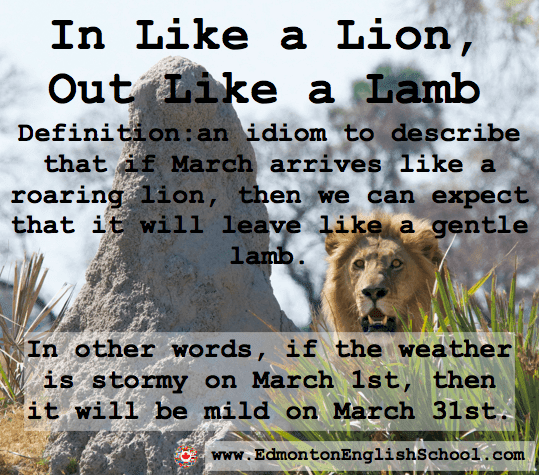 "If March come's in like a lion, it goes out like a lamb." 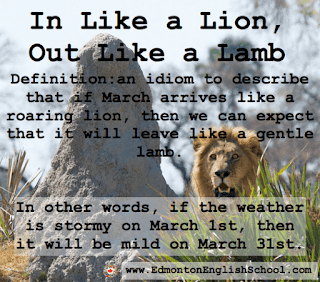 So I am guessing after seeing our weather forecast for Thursday March 1st it will be going out like a lion, as 6 oC with sun and clouds is not a bad forecast for this time of year. In fact it's balmy!! I am not sure if it's a British thing but we seem to be fascinated with the weather. It's always a subject we talk about if we have nothing else to say. Making plans, always depends on the weather. Got all excited yesterday to see some bulbs popping through on someone's garden. Nothing at our house yet. Will say I am looking forward to the clocks springing forward on March 11th, are you? There are only 4 days left in February for those walkers out there. Luckily for us we are in for a few days of warmer weather, so I hope to take advantage of it and boost up my miles, as I only have just over 74 miles in for this month!! Also my weight loss is non existent 😨so I need to up my game to the end of the month!! Here's hoping you are having a better month than I am? All I had to finish sewing were clutch handles for a couple of cosmetic bags, but that will have to wait until I get my machine back. I guess while it's away I should clean up the dining room table!! It may look like chaos, but it's organized chaos!! So I did manage to get another cosmetic bag sewn, this time using some Northcott fabric called Bollywood Bliss. It's a fabric line from 2012 and you can't get it anymore, so I treasure it. I managed to sew in the pockets right way round and this time I added some interfacing to make them stiffer. I also altered the cork to material ratio on this one. As I said before I need to finish off the clutch handles, but can give them to the people as is. Here in Canada, there has been a big debacle on the price of bread being fixed at a higher rate than it should have been, which basically means the bread companies have been in cahoots with the grocery stores to overly inflate the price of a loaf of bread. Someone found out about this and all hell broke loose. Loblaws is one of the big grocery store companies and decided to do damage control by admitting to it and giving you a $25 gift card to their stores if you had bought bread from their stores between certain dates. As I shop at one of their stores (Zehrs) and have bought bread from them, I applied and got the $25 gift card this week. Loblaws figures this will put them in a better light with the general public, to admit to this and give out the gift cards. Plus I am guessing they figure it will be cheaper in the long run to give out these cards. There is an interesting article here about it all; there are a lot of negatives and pluses to all of this. I personally won't be participating in a class action suit; I can't be bothered as like many people. I will take the $25 use it at their stores, so it is a win, win for both me and the store. I am getting something for free and they are getting more business. I go to the store every week anyway, so this is no different from what I can see. It does make you wonder though what else is being fixed price wise in all these grocery stores? Did anyone else in Canada get the $25 Loblaw gift card? Placed an order for some new towels from Marks and Spencer's online on Monday afternoon and they arrived here on Wednesday afternoon. I purchased these towels and they are huge and very fluffy. I obviously haven't used them yet and will have to wash them first, but they look great too me. This is not the first time I have ordered from them here in Canada, and the service is excellent. Just wish we could order food from them. You can get 10% off when you place your first order with them. I also love how customs, duty, taxes and shipping is all included.........well shipping when you order over $50 worth of product. They were shipped by DHL and a signature was required, however you could go online and tick off the option that they could drop it off at your front door and you don't have to be in. I live in a pretty safe neighbourhood so felt comfortable doing that. Liked that option though from DHL. Anyone else a big fan of Marks and Spencer? I have also ordered flowers to be delivered from Marks for people in Britain and again top quality; which reminds me Mother's Day is coming up! It is far from being perfect, but overall I am pleased with it, for my first try. One of the issues is that I put one set of pockets in upside down😳 I didn't realize until I had inserted the zip and top stitched it. It's still functional with only the one set of pockets. I used this tutorial and found it pretty easy to follow. It's a Bales Pattern. I am just using Patons Canadiana for the yarn, which is not what the original pattern calls for. I am doing this more to practice different stitches and patterns. So there you go my show and tell for this past week. I did also make an Easter bib for a little baby girl. Gill who was smiling and had a spring in her step. In fact just under 22,000 steps and 9.66 miles were walked on Wednesday. I did three walks and cleaned the car so I also added 165 minutes worth of exercise to my total. However, despite me doing all that I am still under my miles walked for this month, as I have only walked just under 45 miles, should be at 50 at the half way point of the month. I can deal with the cold weather but cannot deal with slippery roads and footpaths. I am terrified of slipping, so have been avoiding walking. Trying to be artistic here!! They were moving snow from one part of the subdivision to somewhere else, using the giant "Tonka" trucks. You felt very tiny beside them. My cork fabric came in the mail and it is gorgeous. The natural (far left) is perfect and will go with everything. The next one is grey and if anything a bit dark, but still nice. The rainbow one is stunning and the blue/teal one is just perfect. The link to the company is here. Quick and easy baby gift. Not sure if I told you but I have become an honory Nana to another baby girl called Kaira (pronounced Kiyra) I made her a bunch of stuff that I posted about here. I am seeing her again at the end of the month and as I am sewing for our grandson-to-be, I figured I would run up a couple of things for her. Basically use Kaira as the guinea pig for new patterns. So I decided to sew up a baby ball using some scraps of fabric I had laying around. I used the instructions from here and the template for the ball from here. As this was the first time I had made this ball, I wanted to use fabric that wasn't the best, but was pretty to make sure I was happy with the pattern. Now I wanted to put a "shaker/noise maker" in the middle of the ball, so I asked dd if she had any plastic centre's from Kinder Eggs laying around. That is what the yellow plastic things are on the bottom left of the photo. Above that is some rice, which I put inside the yellow plastic thing. So if by some reason it breaks open, then all it is, is rice and won't do any damage. You could put a bell in there, some lentils, dried peas, anything that makes a noise. I used the smallest sized from the template for my ball. After I cut out the fabric I pinned them together in two groups of three, making sure I was happy with the arrangement. I them sewed the two groups of three together, then joined the two groups of three together. On the last side to be sewn, remember to leave a gap, so you can turn it right side out and stuff it with toy stuffing. Also, if you are using a shaker in the middle of the toy, remember to leave a big enough gap so you can put the shaker inside of it; otherwise you have to rip out part of your newly sewn seam........yes I left too small a gap. Stuff it with toy stuffing, add your shaker (if using) around half way through and finish off stuffing. Hand sew the seam up, and voila you are done. There is a 1/4 inch seam allowance on the pattern, which I didn't follow, therefore the top points of the ball don't completely match up.............bad me!! Overall I am very happy with the out come and I can see lots of baby balls in the future. Now I have to ask dd to hunt around for more Kinder Egg plastic things!! On a side note, if you're wondering why I didn't use the same material that I used for Kaira's original gifts, it's because the pattern on the original material was too big and wouldn't have looked right. Smaller patterns I find are more pleasing to the eye. I will post a photo of me and Kaira when I give her the ball. Not quite 10 inches has fallen since Wednesday of last week. Compared to other's we have very little. What's worse, too many or too little? Went to the Pickering Butter Tart Festival on Saturday. There must have been a dozen butter tart vendors, along with other arts and crafts vendors there. It got to the point of being overwhelmed by butter tarts and having to try and make a decision. I ended up buying half a dozen butter tarts, half a dozen fern tarts and a package of shortbread crack😕 The confused face was about the shortbread crack, I'll get more into that later. We purchased the butter tarts from Annina's Bakeshop who are from Goodwood, Ontario. They are super good and the pastry is delicious, which to my mind is as important as the butter tart filling. We purchased the Fern Tarts from Our Little Bakery Inc, who are located in Ajax, Ontario. Now the Fern Tarts are sort of like Bakewell Tarts with coconut and in this case walnuts in the batter. Here is a link to one recipe. We are more used to Bakewell Tarts in our house, but they were very nice. Now for the Shortbread Crack I had never heard of it, and actually thought I had misheard what the guy called it. It tasted a bit like fudge too me, and is addictive! Here is a link to the company's Facebook page. From what I could gather it's a shortbread version of crack that is usually made with Saltine Crackers, like this recipe. Overall it was a great morning out. I did shovel snow from the driveway when we got home to try and work off some of the goodies!!! The place where I go too, to get a pedicure also offers reflexology on your feet. Bianca gave me a five minute taster last time I was in getting my feet done and it interested me enough I thought I would have a 60 minute session to see what would happen. If you haven't had it done, the therapist rubs your feet where there are areas which correspond with various areas of your body. If they feel "grains of sand" in areas it could indicate issues with that part of the body and they massage that area of the foot to give you relief. That is it in basic layman's terms. There is more to it than that, but that is how I understood it to be. In the scheme of things though it was very soothing, with the soft lights and low music. Though we did have to change the music, as she first had on water music. I ended up having to go to the toilet, before she even got started, water music has that effect on me. My stomach hasn't been great for a while now, so hopefully this will maybe ease the pain, and when she did the five minute taster, my intestines were blocked then as well, and she got things "moving!" She said it can take a couple of days to see any difference. The verdict is out on whether it was worth having it done, as it's too early to say. One thing I can say though if I do get relief in my shoulder it was well worth it, as I can't have any massage done on my shoulder as it hurts too much. By the way I have no idea why I have such a sore shoulder. Have you had reflexology done and do you benefit from having it done? Dd mentioned the other day that she was baking with the girls, and I remembered I hadn't made the youngest grands an apron. So I ran up two. So with this one I decided that I would make my own binding. Not sure which one I like the best, how about you? From the flannel I bought on Monday, I had to recover a nursing pillow that dd is giving to our daughter-in-law. The black and white floral print is the original cover and was worn out, after being used on two babies. The pillow itself is fine, so this will be used for our grandson. I also find this pillow useful when holding babies, as they can be heavy after a while and I have sore shoulders. I have been drooling over/coveting (definition of coveting: to wish for earnestly)a new line of fabric; the William Morris collection for Moda Fabrics. Click on this link to view the whole collection. I still had some Christmas money left, so I splurged on a metre each of # 730023 and 730418. The colours are so much brighter in real life. I then picked up .25 of a metre each of these Tula Pink fabrics for Free Spirit, from the Animal Spirit and Eden collections. Now thanks to looking at the Tula Pink site, I am now "coveting" the Bumble collection. So the total of those 2.5 metres of fabric $55 😮 Not sure what I am making with then yet, but I will think of something. I then picked up three metres (total) of these gorgeous fabrics called "Guess How Much I love You," by Cloth Works in the flannel. It's in the pale green colourway, again in real life the colours are so much nicer. Most of the rabbit print is to cover a nursing pillow, and the rest is to make some baby things. It is so soft and although expensive, well worth the money. Then finally I ordered some cork fabric from MM Cork Supply. Carla a Facebook friend makes the most gorgeous things using this cork fabric, and I have been admiring her work for a long while. You can see what she makes here. So I decided to splurge and buy some cork to experiment with. $70 later for three fat eighth's (13" x 18") and a quarter yard (18" x 26") it is expensive but it looks lovely. So all in all I spent $200 on Fabric on Monday!! Now to get my creative juices flowing!! but a post about a product I love and something that may help you. I am a huge fan of David's Tea. At the moment I have seven canisters of it in different flavours, which include Sweet Ginger Heat, Carrot Cupcake, Strawberry Colada, Grapefruit, Nutty Granola (not too keen on this), Wild Strawberry, and Orange Glow. Plus in the little sheep bag there are various tea bags of different flavours. However the reason I am writing this post is about the travel mug on the left of the photo. That is from David's Tea, it's this one. The other day I made a cup of tea in it to take with me at 9 am. It stayed in my car all day with temperatures outside hovering around the freezing mark and below. I didn't start to drink it until around 2 pm on my way home, and was still drinking it at 3 pm and it was still hot. 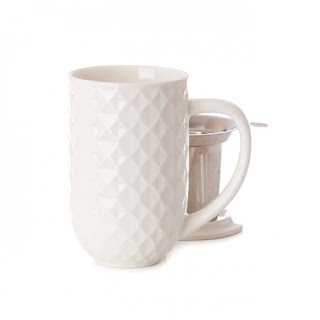 If you are looking for a travel mug to keep your hot drinks hot, this is the way to go, as there is nothing worse than a travel mug, that can't keep your drinks hot. They always have a sale on for various things, if you don't want to pay full price. I have ordered from them online a couple of times and the service is terrific, no problems there. Did have to give a call about one order, but it was sorted out right away. They are perfect for drinking loose leaf tea. One of the reasons I moved over to David's tea is that I have more or less cut out milk out of my diet and this is one way I can drink hot tea without adding milk and the flavours are great. Plus the quality of the tea is superb. They also have a Frequent Steeper Club, where you earn points towards free loose leaf tea and who doesn't love free tea!! Was talking to a friend on Facebook about cats, as she posted a cute video of her black cat. I am quite sure my other friend who is part of the cat team at our local Humane Society said black cats are harder to re-home. Not sure why as I love black cats. We had a black cat growing up called Moggs, she was an outdoor cat most of the time which was normal back in Britain in the 70's. When dh and I got married we got a cat, but she ended up going to live at a neighbours when we had our son. Again he was an outdoor cat that came home to eat. We never had litter boxes for either of those cats. Not sure if you are a long time reader of my blog but we had a short bout of ownership of a male cat called Walter Henry, which you can read about here. Unbeknownst to us dh is really allergic to cats, and over the years I am getting to be the same. So poor Walter Henry only lasted a couple of days in our old house, before we had to take him back to the shelter. As I mentioned before my friend is part of the cat team at our local shelter. It's called Alliston and District Humane Society they do such good work. I have learned a lot about what they actually do and without all the volunteers there would be a lot of animals without homes. My friend puts in long hours at the shelter doing various projects. One of the things she's helped implement is the kitten adoption programme where for a fixed rate, you get to adopt a kitten and get follow up medical care, which includes a spay or neuter in the cost. They are also active in trying to get local feral cat populations down, by capturing cats and spay or neutering them and releasing them. Feral cats tend to be hard to domesticate, if they are friendly though they will re-home but more often than not they are released back into the feral colony. My heart though is with dogs first. We would love another dog, but we don't live in a dog friendly neighbourhood. However there are lots of dogs where we live, but lots of whining going on about them. We actually live in the little white yapping dog capital of the world, and 90% of those dogs just want to nip and bite your ankles. Give me a large dog any day. I had a Bernese Mountain dog come up to me the other day, plop itself down in front of me, right on my feet and sat there so I could rub her chin. Funniest girl ever, thought she was a lap dog!! Are you a pet owner? Did you buy from a breeder or adopt from a Humane Society or Animal Shelter? "Help control the pet population: have your pets spayed or neutered." 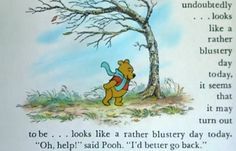 January has been a bit "hitty, missy" with my walking, partly due to the weather, partly due to not being bothered about doing it...........hey at least I'm honest right? I did manage to walk 114.75 miles though, so did make my goal; only by walking nearly 38 miles last week. Honestly though I should have been able to do at least 140 miles as it was a long month. My biggest disappointment though is I only ended up losing 2 1/2 lbs in January, so am down 35 1/2 lbs in total. I bought a big bag of black licorice and proceeded to eat the whole 750g bag over the course of three days!!! Black licorice is as bad as chocolate for me, so no more buying that! However it does help me go to the bathroom!!! So I guess that's a bonus. 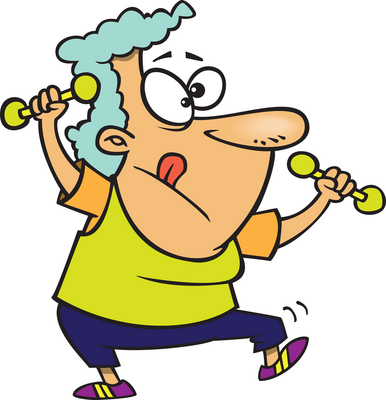 My goal for February is to walk the 100 miles and lose 5 1/2 lbs, which is an extra 1 1/2 lbs which I didn't lose in January. So I need to walk at least 3.5 miles every day in February.